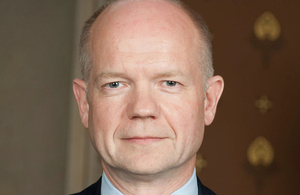 Below is the text of the maiden speech made by William Hague in the House of Commons on 20th March 1989. I wish to speak briefly on the Budget, as my first and modest contribution to the proceedings of the House. Before I do so, I pay tribute to my predecessor as Member for Richmond, Sir Leon Brittan, and will say a few words about the constituency that he represented so well. I am fortunate to be able to do both with uninhibited pleasure. Most new Members elected at by-elections speak of a predecessor who was distinguished but is sadly deceased, but I am delighted that my predecessor, who made such a major contribution to the House and who was so highly regarded by his constituents, is very much alive and well and is by all accounts doing an extremely good job as a European Commissioner. There is no doubt that he will be sorely missed in Richmond—a constituency that he served with extreme thoroughness and attention to detail. Even when he was Home Secretary, he never missed a weekend surgery and never failed to involve himself in as many aspects as possible of life in north Yorkshire. He set the highest standards of service to his constituency, and I will be doing well if I can live up to them. All I can say is that, over the coming months, I shall try to be inspired by Sir Leon’s example, rather than being intimidated by it. It would be all too easy for the new Member of Parliament for Richmond to be intimidated by the past. I number among my constituents not only Sir Leon Brittan but his predecessor Sir Timothy Kitson and my noble Friend Lord Tranmire, the former Sir Robin Turton, who sat in this House for 45 years for Thirsk and Malton, part of which is now included in my constituency. Those former Members will be very valuable sources of advice. Some might observe that they will also he rather varied sources of advice. However, the fact that they remain deeply rooted in the area says something about the strong attachment of Members of Parliament to Richmond and its surrounding area, because of both the natural appeal of its countryside and the independent character of its people. It is almost unnecessary for me to tell the House about my constituency, because many right hon. and hon. Members are already surprisingly familiar with it. I am one of the few Members of Parliament, along with those representing constituencies in the east end of London, who has a regular television series about his constituency. Also, many right hon. and hon. Members have spent more time in my constituency in the past few months than I have spent in the House. Right hon. and hon. Members could be forgiven for believing that the right hon. Members for Plymouth, Devonport (Dr. Owen) and for Yeovil (Mr. Ashdown) had taken up permanent residence in my constituency. They certainly provided a valuable off-season boost to the local tourist trade. They will always be welcomed back, though perhaps they are the only two tourists in the whole nation who I hope will spend less money on their next visits than they did on their last. I hope that all those who visited Richmond during the by-election had an opportunity to enjoy the diverse nature of the region. Although always associated with the magnificent hillside town of Richmond itself and with the splendid dales to the west of it, my constituency embraces a rich breadth of physical geography and human activity —from the hill farmers in the dales and on the edges of the moors, to the lowland arable farmers around Northallerton and Thirsk; from the 20 industrial estates that have brought a growing sense of enterprise and availability of employment to the area, to the commuters in the north-east who work on Teesside and to the large number of people who come to the area to retire. Richmond’s variety defies simple description. In addition, my constituency has a huge military presence. The area is proud to host one of the country’s largest Army garrisons at Catterick, and now we also have a major air defence base at RAF Leeming. That variety, and the popularity of north Yorkshire as a place to live, means that behind the idyllic image are mounting stresses and strains, both economic and social. Much has been said about the plight of the inner cities in the 1980s, but I fear that much will have to be said in the 1990s about the strains of rural life. Although my constituency, like the rest of the country, has grown more prosperous in the past 10 years, and although unemployment has fallen by 40 per cent. over the past three years, one must not overlook the depressed incomes of the farming community, the shortage of housing for local people—ironically coinciding with housing development on a scale that threatens traditional village life—the tendency for younger people to move elsewhere, and the appalling and increasing pollution of some of the nation’s most beautiful rivers. Those are not the subjects of today’s debate. Nevertheless, I hope to help ensure that they will not go unnoticed or unaddressed in the House. My constituents are interested in all those matters, but they are interested also in the Budget—despite all the efforts of the media to convince us that it was boring. Like me, my constituents approve of the Budget because of its most obvious characteristic—that my right hon. Friend the Chancellor of the Exchequer used what room for manoeuvre he had to help those people whose efforts were most unfairly penalised by the existing tax structure. I strongly welcome the changes my right hon. Friend made to national insurance contributions and his abolition of the hated pensioners’ earnings rule. I believe that right hon. and hon. Members in all parts of the House believe that the Chancellor did the right thing in the circumstances, and they should have the good grace to say so. Much of the debate about the economic situation has been taken up with discussing the direction of and the explanations for inflation, interest rates and the public sector surplus. However, that debate has been concerned mainly with the short term—with this year and next year. When I look at the economic background to the Budget, what I find interesting are some of the other economic indicators whose improvement has been strong and marked over a sufficiently long period to become an established trend. Today, companies’ real rate of return is at its highest since the 1960s. Investment has risen twice as fast as consumption for the past seven years. Labour productivity has risen faster in the 1980s even than in the 1960s. That should bring home to us the fact that, whatever the arguments about last year’s or this year’s forecast, the fundamental indicators of the economy’s future performance and output are better than they have been within the political lifetime of most right hon. and hon. Members, and within the entire lifetime of some of them. Maintaining that progress requires lower levels of inflation and of short-term interest rates—otherwise, the increased confidence that is at the centre of all those improvements will disappear. However, no one has argued convincingly that there is a better policy for bringing inflation down than that which the Chancellor is pursuing. Most criticism has been of the “We wouldn’t have started from here” variety, but it is incumbent on those who would do the Chancellor’s job for him to say what they would do if they had to start from here. Nevertheless, it must be recognised that we face over the next year inflation at a higher level than we would have wished. Some people are less able than others to cope with that inflation, and some are particularly worried about it. Foremost among them are elderly people who are wholly or largely dependent on their basic state pension. The Government have done a great deal to help many pensioners in several ways. The abolition of the earnings rule will help many who are still able to earn, and lower inflation over the lifetime of the Government has helped those with savings. Last autumn’s announcement of an additional increase this year for the oldest pensioners will help those in that category. Huge numbers, however, still depend heavily on the basic state pension. In the coming year, they face a pension increase indexed to, but lagging behind, RPI inflation—which may in any case understate the inflation that they experience, as their own expenditure is disproportionately weighted towards some large items such as household rates and basic utilities, the cost of which for most people is rising faster than the retail price index. I hope that in the coming year the Government will have the pensioner in the forefront of their collective mind and, as far as the economy permits, will feel able by some means to help still more pensioners by doing somewhat more than simply indexing their basic pensions to the RPI. If they can do that, they will avoid much dissatisfaction and some genuine hardship. That is the point that I wanted to make—within the context of strong and whole-hearted support for the economic and budgetary policies of Her Maesty’s Government. I thank the House for its indulgence, and hope that there will be many more occasions, Madam Deputy Speaker, on which I may try to catch your eye.